Mukul Roy said he was being "forced" to resign and was exiting the Trinamool Congress "with heavy heart and pain." 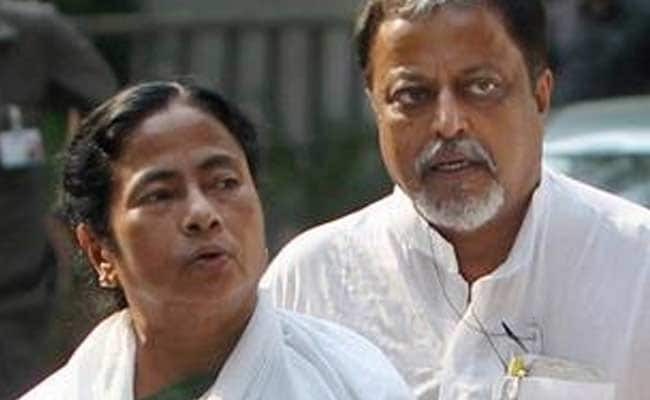 Mukul Roy, one of the founder members of Mamata Banerjee's party, has today announced he is quitting the Trinamool Congress. He has resigned from the party's working committee today, and says he will soon surrender his membership of the party and of the Rajya Sabha. Mr Roy met with top BJP leaders in Delhi in recent weeks, adding to the perception that he was "getting close to the BJP", said sources. He said he was being "forced" to resign and was exiting the Trinamool "with heavy heart and pain." When asked if he would join the BJP next, he told NDTV, "After five days, I will explain everything. Today, I will not say a word, I will explain after puja," referring to the annual Durga Puja festival which is celebrated widely in Bengal. The BJP has acknowledged that Mr Roy has been in touch with its leaders. "I came to know that Mr Roy is in touch with our central leaders. We will consider it if he wishes to join BJP," the party's Bengal Chief Dilip Ghosh said over the weekend. Once the second-in-command of Bengal's ruling party, Mr Roy, a member of the Rajya Sabha, has been estranged from his boss, Ms Banerjee, for over a year now, reportedly because of the prominence she has accorded to her nephew Abhishek Banerjee. Mr Roy is among 12 senior Trinamool leaders accused of accepting cash in a sting by a journalist posing as a businessman and seeking favours from Trinamool. He denied any wrongdoing when he was questioned last month by the CBI for what is referred to as the "Narada scam" after the website that conducted the alleged expose. Mr Roy was also questioned almost two years ago by the CBI in another scandal based on a Ponzi scheme called the Saradha scam, which gypped lakhs of small investors of their savings. Unlike many other Trinamool leaders, he has never been arrested. Within the Trinamool, that has raised suspicion that he was being provided immunity by the BJP and could be supplying investigators with information that could compromise his colleagues in his own party. "Under pressure from central agencies, for his own self-interest, Mukul Roy was trying to hurt the party from within," claimed the party's secretary general Partha Chatterjee. In recent months, he had been removed as the party's in-charge of Tripura, where the Trinamool was seen as making gains till all its six legislators in the state switched to the BJP in August. He was last put in charge of Punjab.